You already know we are living in a very "connected" world…even high-end coffee makers are Internet-connected these days. We increasingly rely on the Internet for so many things, and you need your network to be as reliable as possible. Our home IT network is the thing that increasingly connects us to the world, connects our home devices together, and if using a home automation or lighting system, connects us to our homes while away. All of us get frustrated when things stop working, and we find there are far too many network issues that people are needlessly suffering through. The reason…poor-quality components and IT networks that aren't properly designed. In all honesty, as audio video and home automation integrators, we learned this lesson the hard way. It wasn't too long ago that a network was only used for computers. Then home automation manufacturers started using WiFi as the wireless connection of choice. "No problem", we thought, just get a network router/switch/wireless access point at the local Best Buy and you're good to go…Not! The reality is that the networking components found at the big chain stores are designed for casual consumer use, and are designed to be competitively priced (aka – as cheap as possible). Quality suffers. WiFi connections are intermittent. Speed suffers. Get used to the dreaded "power cycle"…unplug your IT components (in the right order no less! ), wait 30 seconds, and plug it all back in the right order. Not fun, is it? To be fair, not all consumer-oriented network components are junk, though experience has shown that relying on them isn't the wise choice. As earlier mentioned, we learned this the hard way years ago, and the solution is two-fold: enterprise-grade networking components and solid IT network infrastructure design. Does it sound like overkill? Not if you want reliability, speed, and not having to call for service. The components we have been using the past 5 or so years are designed to be "always on" in critical applications, and they work great. Unless you are a die-hard computer junkie, these components are not DIY, they need to be configured by a pro to work properly. 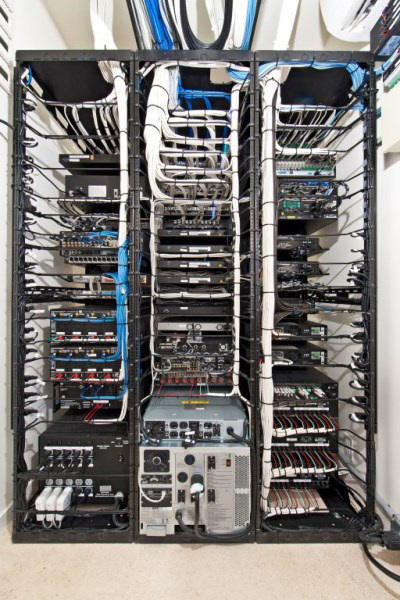 Therein lies the next step in a reliable IT network…proper design and configuration. At DSI, we went from AV enthusiasts thinking we could figure out this new-fangled "IT stuff" on our own, to next hiring 3rd party contractors, to finally having a dedicated IT Department that the Pentagon and NASA would be proud of. The result?…speed, reliability, happy clients. This is the Ferrari V12 of IT networks. Even in 40K square foot homes we work in, you can roam with your iPad or laptop all over the property and never lose a connection. Remote-monitoring and control of the home from anywhere in the world is becoming increasingly popular, too. And of course, Internet security is important to keep the hackers out and your kids from accidentally reaching some unsavory websites. If you want all of these features, be sure you have an enterprise-grade IT network in your home and the right professionals to configure and install it for you. 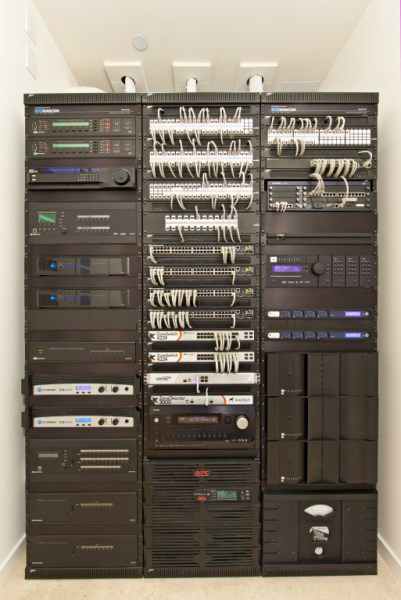 If you live in Los Angeles, Santa Barbara, or places nearby, be sure to contact us at 866-692-8489 for your next AV, automation, or high-end IT network project. DSI Entertainment Systems is a leading custom audio video installation firm that specializes in high-performance home theater, home automation controls, lighting control, and custom audio video systems for both residential and commercial applications. Headquartered in Los Angeles, with offices in West Hollywood and Santa Barbara, DSI Entertainment Systems performs custom installations all over the globe.